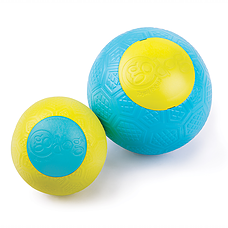 The line is made from an environmentally safe and non-toxic foam and is available in several fun shapes. 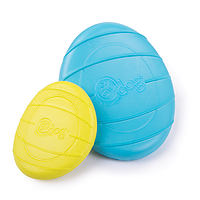 All sales include a charitable give-back to organisations that promote play and enhance the human-animal bond. 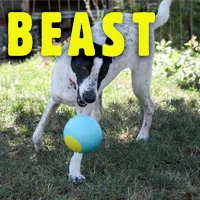 The Beast™ ball is a puncture-proof ball that never goes flat!. 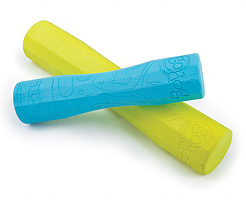 The Beast features a unique self-inflating valve so it will re-inflate, even through tough play! 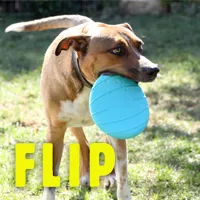 The Flip™ is a fun, chip-shaped toy that always lands with one side up so it is easy for dogs to carry! 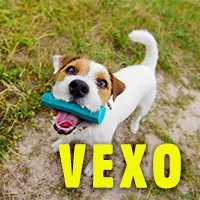 The Vexo™ is a fun, stick-shaped toy. 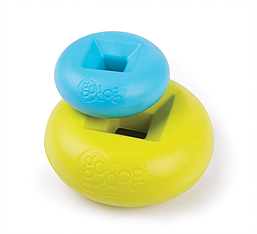 A concave shape makes it easy for dogs to carry. 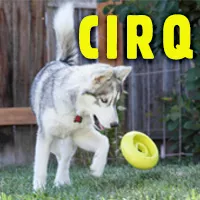 The Cirq™ is a fun round toy shape with a square centre. A channel around the underside of the toys makes it easier for dogs to carry and is a great place to hide treats!